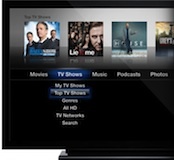 The Loop reports on a new research note from Piper Jaffray analyst Gene Munster predicting that Apple will launch an Internet-connected television within the next 2-4 years. "As connected TVs proliferate the integration of hardware, software and content will become a key selling point for TVs," wrote Munster. "We believe Apple is uniquely positioned to combine these elements at competitive prices ($2,000) for an Apple-branded TV." Munster believes that Apple is developing a television subscription service, a plan that has reportedly been placed on hold amid resistance from TV networks and a push to lock in iPad content, in order to allow customers to replace their monthly cable subscriptions as one step toward offering connected TVs. Ultimately, Apple's television package could be priced at $50-$90 per month and would allow some users to do away with such peripheral costs as recording devices, video players, and dedicated gaming machines. Munster has been an ardent advocate of the idea that Apple will eventually move into the television market, and apparently continues to believe in it despite recent comments from Apple Chief Operating Officer Tim Cook claiming that the company has no interest in the market.